A press kit is a presentation of your company’s products and services in a hard-copy or electronic format. 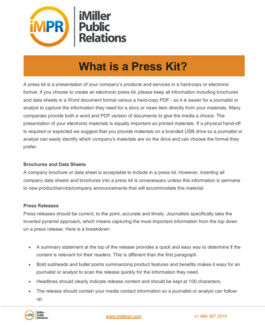 If you choose to create an electronic press kit, please keep all information including brochures and data sheets in a Word document format versus a hard-copy PDF – so it is easier for a journalist or analyst to capture the information they need for a story or news item directly from your materials. Many companies provide both a word and PDF version of documents to give the media a choice. The presentation of your electronic materials is equally important as printed materials. If a physical hand-off is required or expected we suggest that you provide materials on a branded USB drive so a journalist or analyst can easily identify which company’s materials are on the drive and can choose the format they prefer. 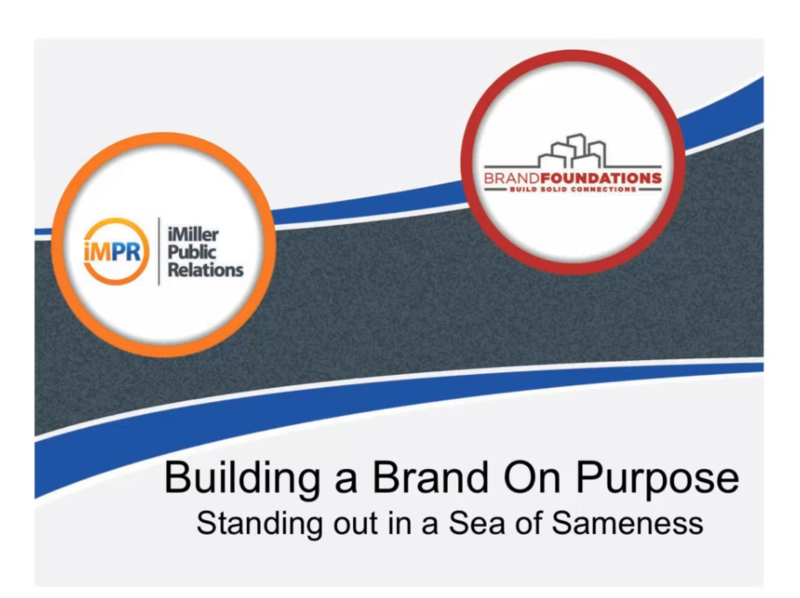 Click here to download our Press Kit resource guide. The best way to prepare for an interview with a trade show reporter is to do your research in advance. Find out the name of the reporting outlet and the reporter if available. Check out the organization’s website, determine the audience, understand which subjects the outlet addresses, and read the reporter’s previous articles. 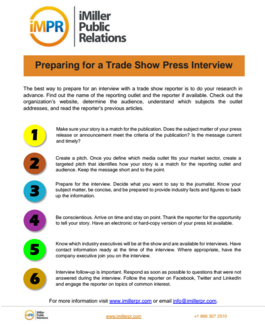 To learn more, click here to download our 6 step checklist to get you going on your next trade show press interview.